Trails Illustrated Banff South [TI900] - $10.95 : Trail Explorers Outpost, Keeping the Adventure Alive! National Geographic's Trails Illustrated map of Banff South is a two-sided, waterproof map designed to meet the needs of outdoor enthusiasts with unmatched durability and detail. This map was created in conjunction with local land management agencies and is loaded with valuable recreation information. 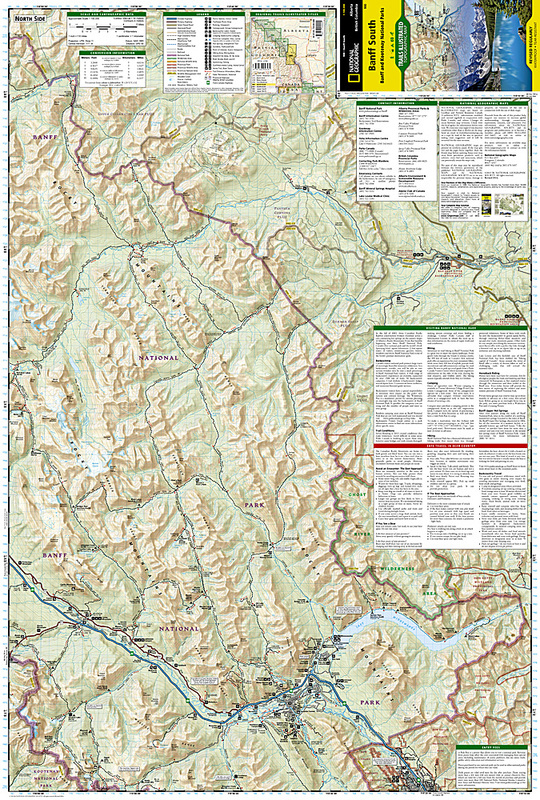 The front side of the Banff South map details the north side of the national park, from Scalp Creek Natural Area to the north, to Bow Valley Wildland Provincial Park to the south. This side also covers survival tips, entry fees and what to do while visiting. 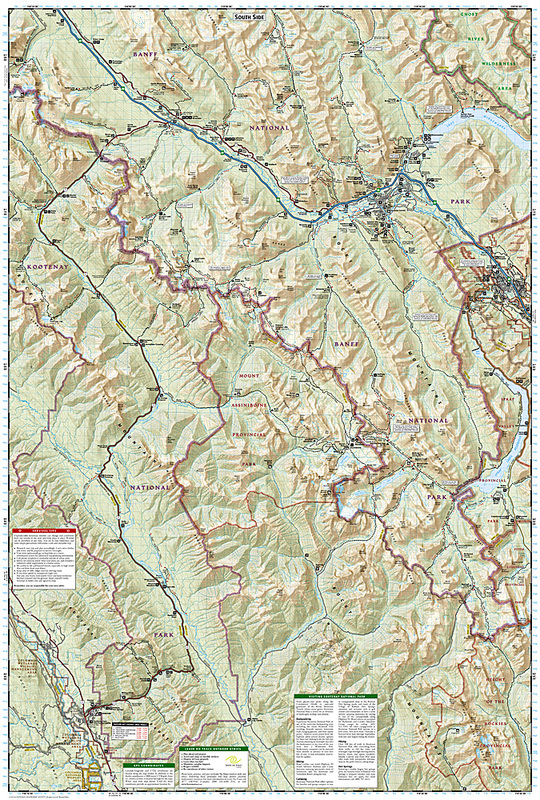 The reverse side of the map details the south side of the park, extending from Height of the Rockies Provincial Park to the south, to Ghost River Wilderness Area to the North. Insets show tips on outdoor ethics, and activities while visiting Kootenay National Park such as backpacking, camping, biking, hiking and the hot springs.